Earlier today I presented a session at TwilioCon: 'Twilio and Salesforce: Building SMS and Voice into Force.com', covering two simple Twilio/Force.com integrations: SMS lead generation and call routing. Since I blogged the SMS lead generation sample back in April, here is the call routing case. Earlier today I presented a session at TwilioCon: Twilio and Salesforce: Building SMS and Voice into Force.com, covering two simple Twilio/Force.com integrations: SMS lead generation and call routing. 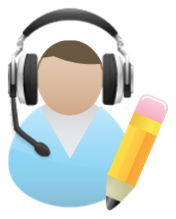 Since I blogged the SMS lead generation sample back in April, here is the call routing case. Now our controller’s constructor can use the incoming caller ID to look up a contact and, from there, the account rep. If we can’t find the matching contact or a matching rep, we use the ‘switchboard’ user. I’m exposing the caller name as a String to avoid the need to configure Contacts for access from the site. I’ve dropped the Visualforce page and controller code into a gist. If you want to try it out, you’ll need to install the Twilio Library for Salesforce, create a Twilio account (if you don’t already have one), and configure the TwilioConfig custom setting with your account credentials.